London’s river and emergency authorities have issued simple guidance to the public on what to do if they see a marine mammal in the tidal Thames, as more harbour seals, grey seals and harbour porpoises visit the river and its banks. The tidal Thames, particularly in Central London, is attracting increasing numbers of marine mammals – the latest annual seal survey from ZSL (Zoological Society of London) reported over 3,000 animals of both species living in the estuary – and people have been unsure what to do when they encounter them. 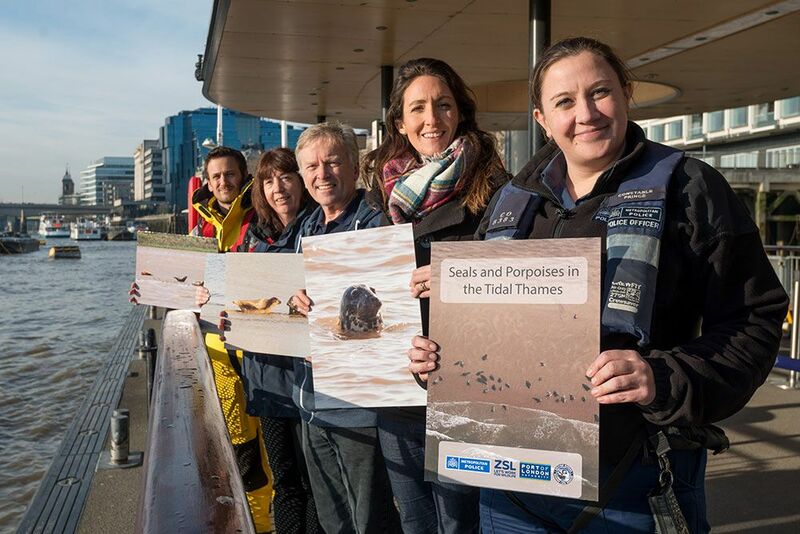 Now the Port of London Authority (PLA), ZSL, British Divers Marine Life Rescue, the Metropolitan Police, RSPCA, RNLI and London Fire Brigade have come together to offer simple advice. Their new leaflet, called Seals and Porpoises in the Tidal Thames, includes simple guidance on how to tell if the animal looks healthy and happy, unwell, or has passed away. PLA environment manager, Tanya Ferry explained: “The tidal Thames is a unique and important habitat for hundreds of species of fish, invertebrates and marine mammals. As the condition of the Thames environment has improved, we have been recording increased observations of seals, porpoises and other marine mammals. The PLA will assess if the animal needs to be rescued and will contact British Divers Marine Life Rescue (BDMLR) or RSPCA if necessary. Please do not attempt to rescue the animal yourself. Please report your sighting to the PLA Vessel Traffic Services on 0208 855 0315 who will coordinate with the UK Cetacean Stranding Investigation Programme (CSIP).